​FuseFX is a full-service visual effects studio serving the television, feature film and advertising industries from facilities in Los Angeles, New York and Vancouver. 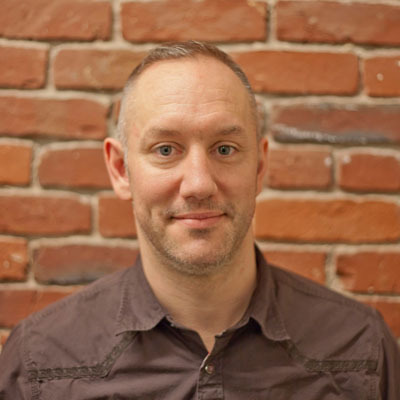 Senior VFX Supervisor Shawn Hillier has joined the creative team at the Vancouver office of FuseFX. Hillier arrives following a 15-year stint at Industrial Light & Magic, where he contributed to such blockbusters as Jurassic World, Pacific Rim, Star Trek, Transformers, Star Wars: Episode III - Revenge of the Sith and all three titles in the Pirates of the Caribbean franchise. In his new role, he will supervise visual effects production for television projects including the Syfy series The Magicians and Dark Matter. Hillier joined ILM in San Francisco as a Sequence Supervisor in 2001. Beginning in 2008, he spent part of his time each year training artists at ILM’s Singapore. He joined that office on a fulltime basis in 2012 as CG Supervisor, setting up the compositing pipeline for the Digital Feature group, Lucasfilm Animation Singapore. A native of Quebec, Hillier began his career with Dome Productions, Toronto. His background also includes posts with Canadian VFX shops DKP Effects, Hybride and Meteor Studios. In discussing his move to FuseFX, Hillier cited the opportunity to work in his native Canada and the chance to join a visual effects operation that is growing. “I’m excited by the challenge of tackling bigger and more complex projects,” he said. Also joining FuseFX, Vancouver, is Compositing Supervisor Maya Roza. Arriving from a similar position with Double Negative, Vancouver, Roza brings more than 10 years of experience in visual effects, with credits including The Huntsman, The Fifth Wave, Jurassic World, Chappie¸ Elysium¸ Fast & Furious 6 and The Twilight Saga: Breaking Dawn, Part 1. A graduate of the Art Institute of Vancouver, she has also held staff posts at Image Engine Design, Prime Focus World and Atomic Cartoons. FuseFX is a full-service visual effects studio serving the television, feature film and advertising industries from facilities in Los Angeles, New York and Vancouver. Founded in 2006 by David Altenau, the company encompasses a staff of more than 100 highly talented and experienced artists, producers and support personnel. Using its refined, custom database and pipeline, the company can accommodate numerous, high shot-count productions while delivering high-quality, on-time results. FuseFX is providing visual effects for a wide range of television series, new and returning, which premiered this spring. Projects from its studios in Los Angeles, New York and Vancouver for clients including AMC, Starz!, Netflix and FX.